Wholesome schoolmarm Dorothy Sebastian stumbles into the mountaintop robber’s roost hideout of a ruthless gang run by former silent star Tom Santschi. Rex Lease, a good-badman in the tradition of William S. Hart, marries Dorothy so Santschi’s outlaws, including Boris Karloff (soon to win immortality as FRANKENSTEIN), will leave her alone. Meanwhile, Sheriff Walter Miller, Dorothy’s “intended,” is determined to smash the gang. That done, Miller realizes Dorothy now truly loves Lease and lets the outlaw go to straighten himself out and someday return to Dorothy. 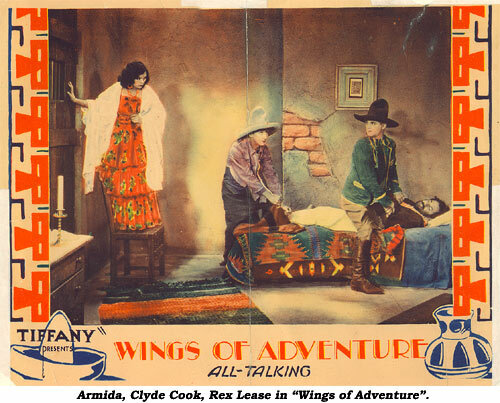 Dreadful early talkie has aviator Lease and his pal, Australian born comic Clyde Cook, downed in Mexico and captured by guerilla fighters. Lease is befriended by the talentless Armida and helps her avoid an unwanted marriage to the self-imposed El Presidente. 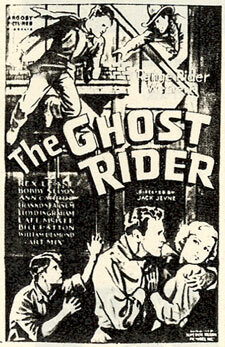 A pathetic and very missable early talkie. 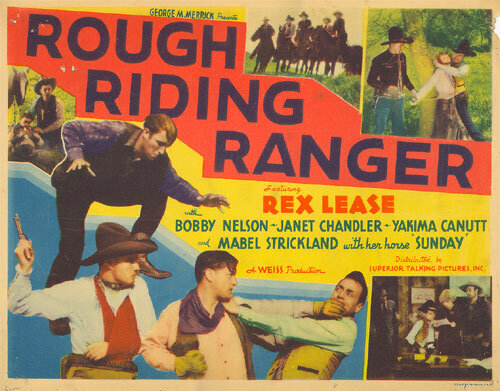 Weak, ineffectual Rex Lease programmer in which double-dealing Harry Woods poses as crippled old Jay Hunt’s ranch manager while he and his boys rustle his horses using the old ploy of blaming it on a wild white horse. Hunt’s old friend Lease cracks the case and falls for Hunt’s daughter, Dorothy Gulliver. This is a one-off western independently produced by George W. Weeks and distributed by SonoArt-World Wide. When that company went under in ‘33, Atlantic picked it up for re-issue. With all its low budget deficiencies, including plot holes you can drive an 18-wheeler through, “Sign of the Wolf”, Metropolitan’s only attempt at a serial, weaves an odd fascination. For one thing, it’s the only film I’ve ever encountered where a man talks to a dog on the phone—and the dog understands! The window repair man must have loved this serial, there are more notes thrown or blow-gunned through windows in this picture than any I’ve ever seen! Unbelievable but intriguing plot brings forth two radioactive chains capable of transforming simple sand into precious jewels. The chains are stolen by explorer Harry Todd (whose scenery chewing must be seen to be believed) in the Himalayas of India. Escaping with the purloined chains back to the frontier west, Todd brings along a sacred puppy whose breed is the sign of the wolf. For years Todd is sought by the high priest guardian of the jewels, Ed Cobb, who eventually locates Todd and his daughter and the dog, now named King. A band of outlaws led by Al Ferguson learn of the chains and for 10 chapters attempt to procure the precious secret for themselves. Fortunately, they are constantly driven back by Rex Lease and strapping strongman Joe Bonomo. Chapter 6 includes an out-of-nowhere, must-be-seen-to-be-believed, saloon tap-dance number by an ex-flapper who hangs out in the local bar. Was she the producer or director’s girlfriend or what? Pretty lame, lowbudget affair as cavalry officer Lease goes undercover to capture gunrunners. Plenty of silent stock footage of Indian raids on the wagon train and the stockade. Of note is Yakima Canutt as he devises a brutal new weapon, a bullwhip with a knife tied to the end of it. Glenn Strange and his cowboy band (Jack Kirk, Jack Jones, Chuck Baldra) sing “Old Wagon Train”. 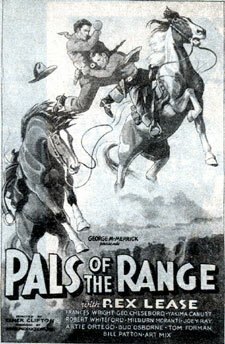 When Lease takes over his uncle’s unprofitable ranch, he and his pal Milburn Morante discover why it’s losing money—the foreman of the next-door ranch (George Chesebro) and his cohort (Yakima Canutt) are brand-changing rustlers. Leading lady Frances Morris underwent a name change to Frances Wright for this one film—and to this day she’s not sure how it occurred. John J. Luther’s Cowboy Band sings “Farewell Pike County”. Pretty Dorothy Gulliver arrives in the near ghost town of Gold Center on the pretense of looking for insects. In reality, she’s the owner of the Katy Did Mine investigating the death of her mining engineer who was killed by sneering George Chesebro and his pals, who are using the mine as a headquarters for their counterfeiting. Hot on Chesebro’s trail are Lease and his pard Earl Douglas, undercover agents in disguise as Mexicans. Trust me, Lease’s Mexican dialect is as annoying as Tim McCoy’s many Spanish impersonations. The silliness offered up by Milburn Morante and George Morrell is simply inane, especially the business with the mule. Franklyn Farnum’s ranch is stolen and Farnum sent to prison for a deed he didn’t do. Escaping prison years later, he’s returned to seek revenge, leaving an ace on each dead man’s chest of the men who framed him. New deputy sheriff Lease works with Farnum’s daughter and son to clear Farnum’s name. Farnum practically steals the show from top-billed Lease who doesn’t appear til the halfway mark. Lots of unexpected nuances from writer “John West” and director “Jack Jevne”, make this a worthwhile lowbudgeter. Jevne/West was really a pseudonym for Jack Levine who later wrote several excellent Laurel and Hardy scripts. Jack Kirk appears on bookends of the film to sing. Just awful, rambling, aimless ultra no-budgeter has Lease as a sharpshooting undercover border patrolman infiltrating a gang of silk smugglers. 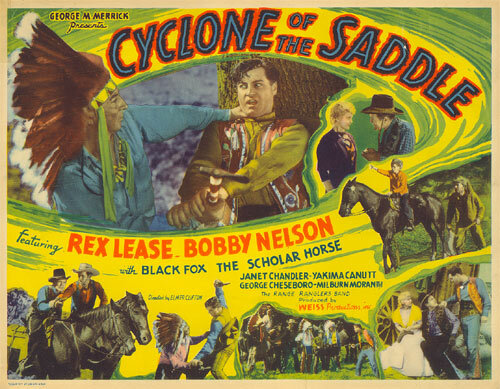 A bad script, several pointless, unfunny scenes with Milburn Morante as a drunk with a cuckoo clock, time wasting horse tricks from Mabel Strickland and her horse Sunday, terrible acting, stagnant direction and camera work. You do get to hear Rex Allen’s cousin, Cactus Mack, yodel with Johnny Luther’s Cowboy Band. White prospectors are lured into the Black Hills of the Dakotas by the discovery of gold in direct violation of treaties with the Indians. The Sioux and Cheyenne, led by Sitting Bull and Crazy Horse, propose to drive the white men from their land. A sacred medicine arrow, which bears cryptic markings that lead to a sacred Medicine Cave purportedly filled with gold, is lost during a skirmish with white wagon train settlers. Former Confederate army surgeon Major Josef Swickard and his daughter Nancy Caswell recover the arrow without realizing its true value. Only Chief Thunder Cloud and his sister Dorothy Gulliver can decipher the markings on the arrow. Thunder Cloud enlists the aid of professional gambler and saloon owner Reed Howes to recover the arrow, but Howes and his underlings secretly covet the arrow and the gold for themselves. Searching for who has the arrow, Howes murders all the survivors of the wagon train, including the father of Lease, until only Swickard and his daughter remain. Into the troubled Black Hills rides General George A. Custer (Frank McGlynn Jr.) and his chief scout, Rex Lease, who is also searching for the murderer of his father. Into the mix is thrown Lt. George Chesebro, court-martialed for drunkenness by General Custer, who at first sides with Howes but is in the end convinced by Howes’ saloon co-owner, Lona Andre, to face up to his responsibilities as a man and side with Lease and Custer. (Without a doubt, whenever Chesebro is on screen, he steals all the acting chores, hammy though they are.) It’s the search for the sacred medicine arrow that propels this serial through 15 chapters as the Battle of the Little Big Horn doesn’t occur until Ch. 14-15. Lease goes to join his partner in a rich silver strike but finds him missing with no one admitting to knowing of him or his mine. 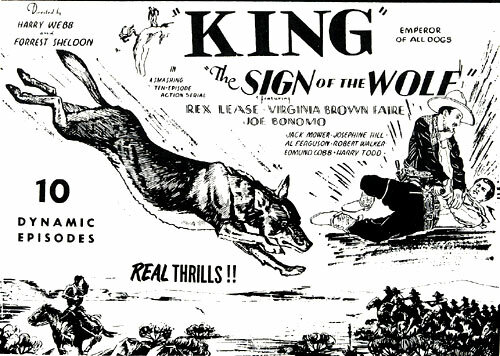 Investigating, Lease enlists the aid of very pretty Mary Russell (whose father was killed and his claim jumped by the Triangle Mine gang) and Rin Tin Tin Jr., the dog who belonged to Lease’s partner. 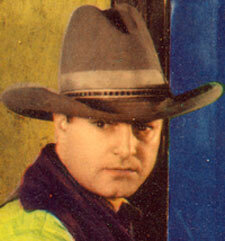 For some unknown reason, probably to appease the onslaught of Gene Autry, director Raymond Samuels (aka B. 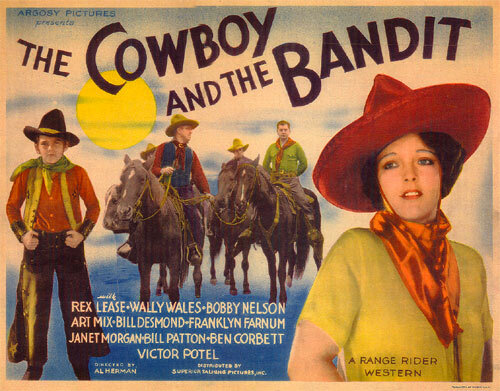 B. Ray) foisted a “western singer” named “Hank” on us in the first five minutes of the film. It was ill advised, he’s very bad and gets this otherwise decent western with some nice mystery angles off to a poor start. Producer Anthony J. Xydias went back to his beloved historical-well one more time for this low budget effort that relies more on characterization than the battle of the Alamo itself. Xydias, head of Sunset Productions and producer of “Davy Crockett at the Fall of the Alamo” (‘26), “Buffalo Bill on the U.P. Trail” (‘26), “Daniel Boone through the Wilderness” (‘26) and other low budget silent epics, retired from the motion picture business in ‘31 due to ill health. Recovering by the mid ‘30s, he announced plans to remake his thrilling epics of the frontier days, the first being “Heroes of the Alamo”. Due to its shoddy appearance and theatrical failure, it turned out to be Xydias’ only remake. Pitifully amateurish, there’s only one cheap Alamo set with the battle scenes all salvaged from Xydias’ silent “Davy Crockett at the Fall of the Alamo”. Historical figures are featured but have less to do than in most major Alamo films—Earle Hodgins is Stephen Austin, Lane Chandler is Davy Crockett, Roger Williams is Jim Bowie, Rex Lease is William Travis, Julian Rivero is Santa Ana, Edward Piel is Sam Houston. On the eve of the final assault, the men of the Alamo gather ‘round a campfire for a rousing version of “The Yellow Rose of Texas”. Never mind that the tune wasn’t written til years later. Columbia bought the film and re-released it in ‘38, then, pared down from its original 75 minutes, “Heroes…” was retitled “Remember the Alamo” and released in the ‘40s as an Eastern educational film intended for viewing in schools—which is where many of us were first exposed to it. Incidentally, Xydias, although finished with films, had the bad fortune to be in Manila when the Japanese arrived during WWII. He was captured and imprisoned until the end of the war. He died October 27, 1952, in L.A. 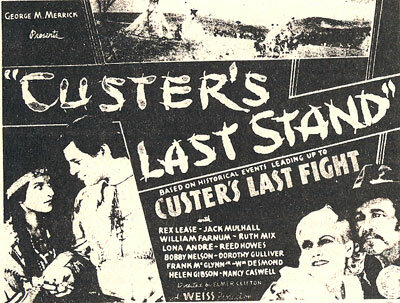 Lease, known to his co-workers and friends over the years as a bit of a jokester, as well as a money borrower, fared better later as a character player than he did as a lead in various independent westerns and serials in the early ‘30s.